Buds on the Lilac, a Forsythia in Bloom & Garden catalogs! 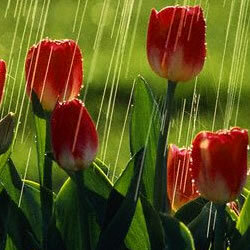 These sure signs of spring appeared this week. The forsythia is such a bright spot in an otherwise dreary garden. The stack of garden catalogs is growing daily, and more seeds and savings announcements multiply in my e-mail box like summer fruit flies. I love leafing through them, though, full of hopeful dreams of a trellised arbor in the back corner of the yard, a beautiful cutting garden filled with blooms, and a large, healthy vegetable garden. Those dreams will have to wait until we finish solving the Great Lake Problem along our back fence and eliminating its resulting tributaries that have turned much of the north side of our backyard into mud and dirt. A second, equally important issue that must be addressed is protecting all ground-level plants from our male sheepdog. Dexter is the sweetest dog that we’ve ever had, but the boy lifts his leg on every plant, rock, and flower pot in the back yard. Standing 35 inches from the floor to the top of his giant head, he can easily target any container up to about 24 inches tall. Last summer, a boxwood, a low-lying herb garden, and my beautiful 10-year-old sedum died all fell victim to Dexter’s quest to mark everything as his own. This spring, in addition to a second raised vegetable garden, we are also exploring inexpensive garden fencing options that will keep Dexter and his bouncy, high-jumping sister a suitable distance away from ground-level plants. Bee-friendly annuals and perennials are among the plantings that we are planning for our current container garden–and those I’d eventually like to incorporate into a water garden near. We’ve all heard how the bee population is decreasing and how important they are pollination. Last year, we noticed that our variegated dogwood blooms and zucchini flowers were particularly attractive to bees. By planting more bee-friendly plants, we will add to the food supply for local bees; in return, they will pollinate our vegetables and increase our yield. The Bee-Friendly Garden is has been incredibly helpful resource for planning this year’s garden. The Bee-Friendly Garden is filled with plenty of helpful information on the plants, shrubs, and trees that attract bees—and even on common flowering plants that specifically do not attract bees or may be harmful to them. 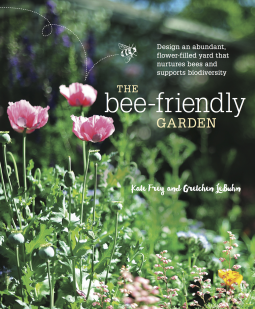 Co-authors Kate Frey, an international garden designer, and Gretchen LeBuhn, a biology professor, also guide gardeners in putting together your favorite bee-friendly plants with such necessary elements as water sources, to create a bee garden for all types of growing regions and garden styles and sizes. Beyond planting bee-friendly plants, the most important action humans can take to help the bee population is to maintain and organic garden. Pesticides kill bees. The Bee-Friendly Garden describes the appearance and habits of about 10 common North American bee genuses. Bumblebees, a native bee, are my favorite to watch. They are the large, furry bees that buzz around gardens and appear so heavy that it’s a wonder they can fly. There are actually 46 species of Bumblebees in North America. They are social bees, not solitary nesters, and unlike other native bees, their queens survive the winter. Interestingly, and important for gardeners who want to attract bees, our friendly flyers possess a visual spectrum that includes short wavelength ultraviolet colors beyond human perception. Their visual acuity is much greater for blues, yellows, and whites than for reds. Beyond color, flowers also attract specific types of bees through their various shapes and sizes. The Bee-Friendly Garden allayed concerns about encouraging bees to visit our backyard. Until reading the book’s chapter, “Our Friends the Bees,” I never knew that bees are vegetarians. Their omnivore cousins the wasps (including yellow jackets) are the ones attracted to our food and drink. Other facts learned from this chapter alone: more than 20,000 types of bees exist; 4,000 types inhabit the U.S.; honey bees are interested in just the nectar; native bees are the power pollinators; male bees do not have stingers; and, honey bees are very unlikely to sting when focused on foraging for nectar. 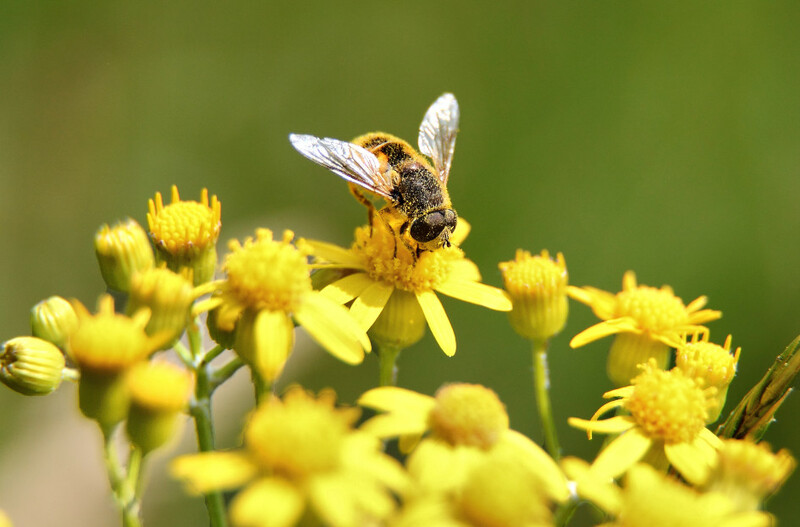 Most bee species have pollen preferences, and some even specialize in only one type of plant. For bee enthusiasts, the authors provide a chapter on bee activism and projects for teaching others about bees. I appreciate the appended regional plant list of bee-friendly annuals, perennials, shrubs, and trees. I expect this resource, along with my organic vegetable gardening books, to become a valued member of my gardening library. Oldest beekeeping supplier in U.S.